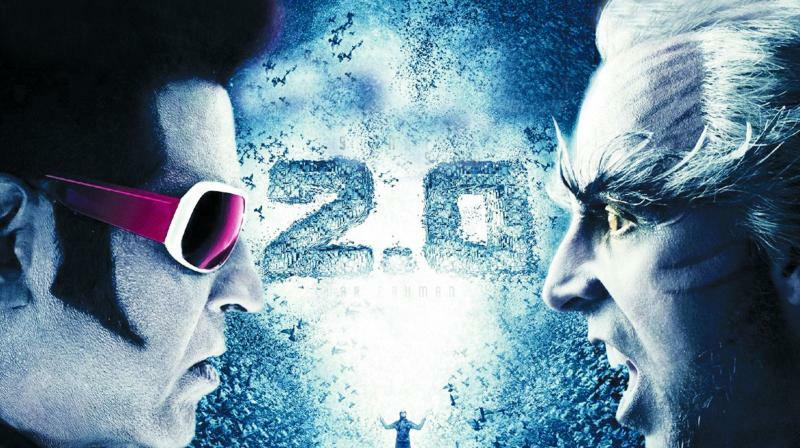 Will Rajini mania save 2.0? Opening day response for the film was far from the hysteria that usually greets Rajinikanth movies. Rajanikanth’s latest film 2.0 released to huge expectations. Rajanikanth’s latest film 2.0 released to huge expectations. But the opening day did not exactly get the hysterical support it does from his fans in cinema theatres with the result that the film was almost written off by the industry. Turns out critics of the film may have been too quick in making their judgement. After a lukewarm response on the first day, the film has rebounded, thanks to Rajanikanth’s personal charisma and is now galloping at a steady clip in both the Telugu states. Word on the streets is that the film collected nearly Rs 33 crore in the first weekend including Rs 15 crore just in the Nizam area. The distribution rights for both the Telugu states was bought for an estimated Rs 70 crore plus and while distributors will have to wait a while to recover that investment, they have gone the half way mark by now. Interestingly, the film’s 3D version is more in demand from movie goers than the 2D version. “On Sunday, it was packed houses everywhere, especially in multiplexes and the 3D version,” a multiplex owner said. What remains to be seen is how the film stands up to the coming Friday, December 7, when three big ticket Telugu films will release and multiplex owners release some screens for them. Will Rajini’s charisma pull out yet another miracle? We will wait and watch. Bandla Ganesh returns to acting! A clash has been averted!